How to lay emphasis on your Shar-Pei? 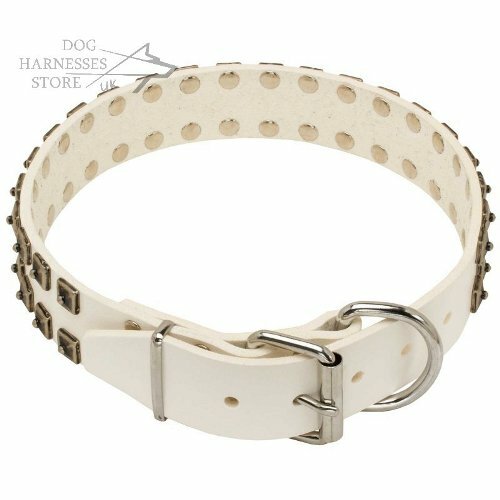 Get this distinguished collar of pure white leather! 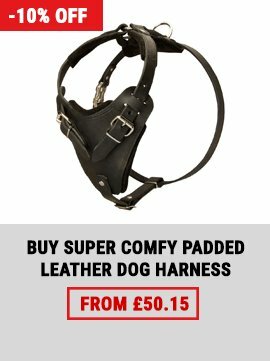 Matchless design of the accessory will underline your dog's beauty and uniqueness. Inimitable decorations of caterpillar style and selected quality of natural leather make the ideal combination for unique look and exceptional comfort of Shar-Pei. 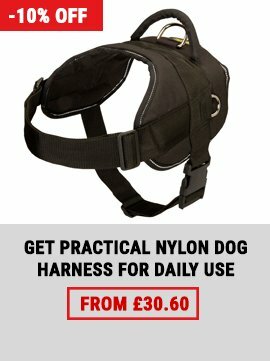 Let the dog become a star in your neighborhood! This collar for Shar-Pei dog is drum dyed in non-toxic white color. The paint won't fade and won't color the dog's coat. 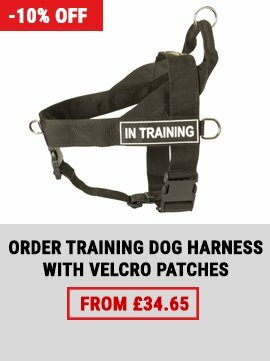 Leather strap is of optimal width and thickness to handle the dog reliably and not to hurt its neck. The collar is well-oiled and polished along the edges to be maximum comfy. 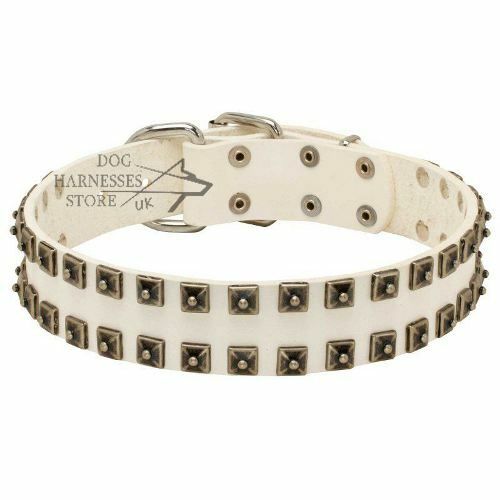 Two rows of square brass studs decorate this collar. They look like of old bronze. Every stud is riveted and won't fall away as well as the buckle and D-ring for leash. 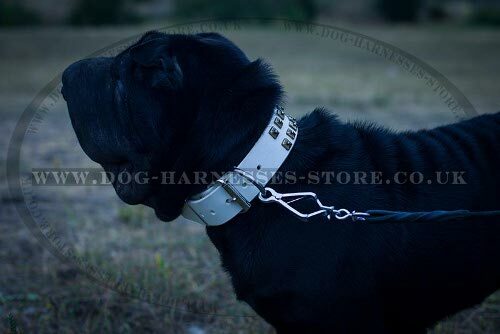 The collar is an excellent choice for your active and strong Shar-Pei! 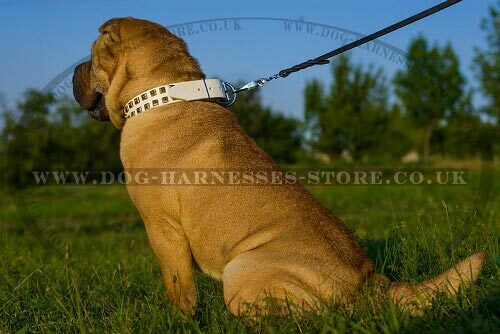 Look also at a collar for Shar Pei dog of pink leather.